CRN’s mastery of shipbuilding reaches its utmost expression in the new 50m superyacht Latona, which will be presented as a world première at the Monaco Yacht Show 2018 at the end of September. Delivered in May, the Italian Atelier’s latest masterpiece has been custom-built to meet the wishes of a highly selective and determined owner. 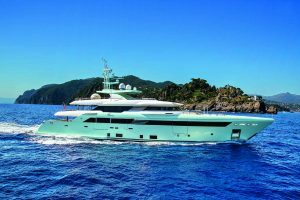 Drawing inspiration from the ‘Superconero’ of the 1960s, the Latona marks the success of a new joint project between CRN and Zuccon International Project. Indeed, this new yacht’s technical solutions and the slender lines of the hull have been developed by CRN’s Engineering Department, while the craft’s exterior lines were pencilled by design firm Zuccon International Project, who, together with the shipyard’s Interiors & Design Department also took care of both interiors and exteriors. With her 50 metres in length, four decks and an underdeck, the Latona stands out for her classical, timeliness profile that further enhances the style and elegance of outdoor areas. The yacht’s interiors are pervaded by a refined Liberty-style mood, a stylish fil rouge that unravels through all guest areas. The streamlined bow and the spacious interior and exterior volumes, in turn, also include some breathtaking areas almost ‘hanging’ over the sea, let the Latona shine in all her endless beauty. 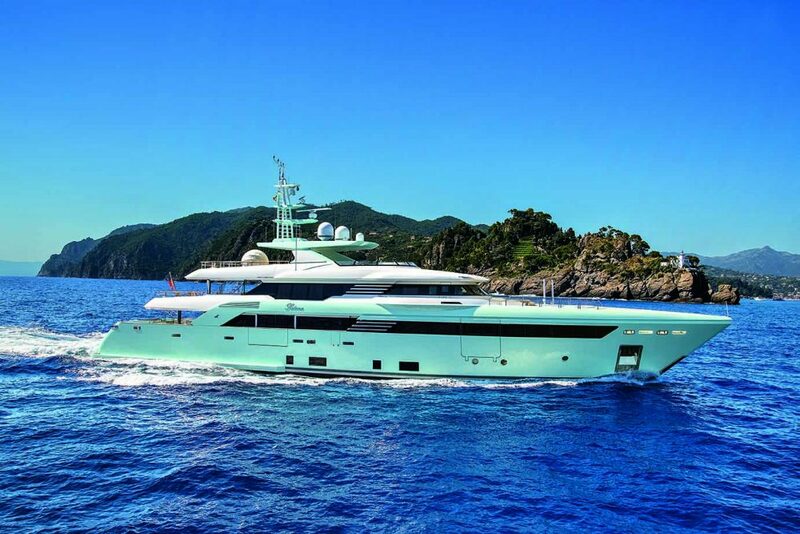 Designed jointly with the Customer, this megayacht has been forged and built to meet her Owner’s request for the utmost customisation, in an effort to achieve pure uniqueness – a uniqueness that is also reflected by the colour chosen for the hull, a stylish shade of turquoise whose intensity varies depending on the sea bottom and the waters in which the yacht is cruising. The Latona is a yacht endowed with a strong personality, capable of harmoniously combining the elegant style of her exterior lines with highly functional outdoor and indoor areas as well as interiors boasting a truly distinctive design. And it is just in the interiors that the skilful, refined craftsmanship of the shipyard and its suppliers has reached its peak, thanks to a painstaking study of the Central European style from the 1920s. The Latona can comfortably host up to ten guests in five cabins characterised by extremely refined details: the master cabin, two VIP cabins and two double cabins, plus accommodation for nine crew members, including the Captain.